Pure Minerals Limited (ASX:PM1) today announced additional high-grade rock-chip sampling results from surface mapping activities at its Battery Hub manganese project in WA’s Gascoyne region. The below map shows the location of the Five Fingers prospect. The samples, taken from the prospect located within the recently-granted E52/3523 tenement, ranged from 14.3 per cent manganese to 52.6 per cent manganese. Such promising samples provide yet more evidence that the project could well be hosting a significant manganese system. Previous samples from the site have returned values as high as 54.8 per cent manganese. The below table shows the recent results in full. 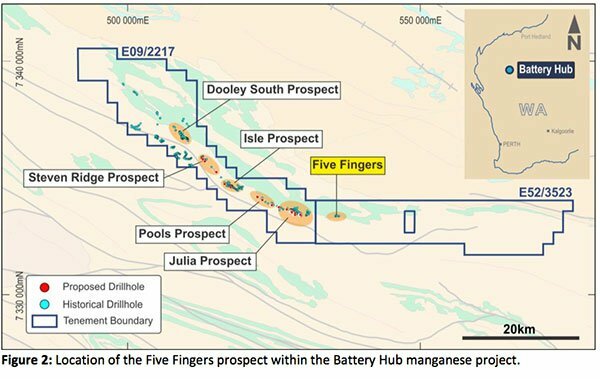 Exploration at the Five Fingers prospect has indicated it contains multiple outcropping and subcropping manganiferous beds over a strike length of over five kilometres, however it has only been subject to limited drill testing so far. PM1 has confirmed that today’s results will see Five Fingers treated as a priority target as the company commences the upcoming drilling programme. 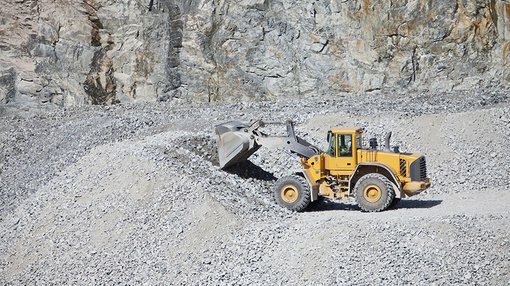 The company has now submitted to the WA Department of Mines, Industry Regulation and Safety (DMIRS) a plan of work to begin RC drilling within the Battery Hub project.